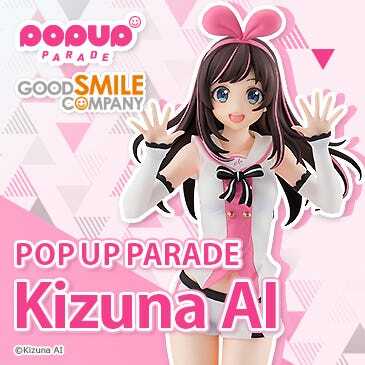 Kahotan's Blog | GOOD SMILE COMPANY Figure Reviews | April Fools! 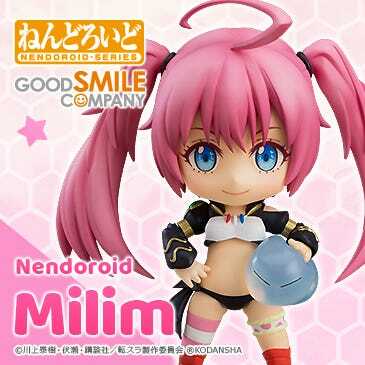 The Story Behind Nendoroid Co-de Fundoshi & More! April Fools! The Story Behind Nendoroid Co-de Fundoshi & More! Hello everyone! Do you think this is Kahotan…? Today’s blog update will be by me! 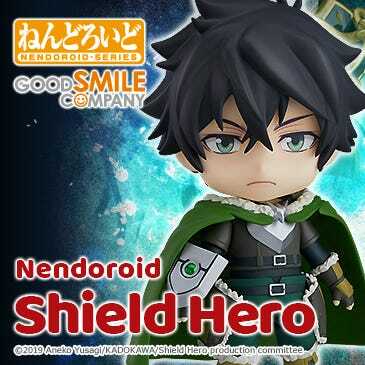 Today I will be taking you though the back story of yesterday’s April Fool joke ‘Nendoroid Full Armor Mode’ also known as ”Nendoroid Co-de Fundoshi‘ (which is kind of long so from now on Nendoshi!)! I’ll be explaining it from my point of view only, so there might be some pieces missing though. 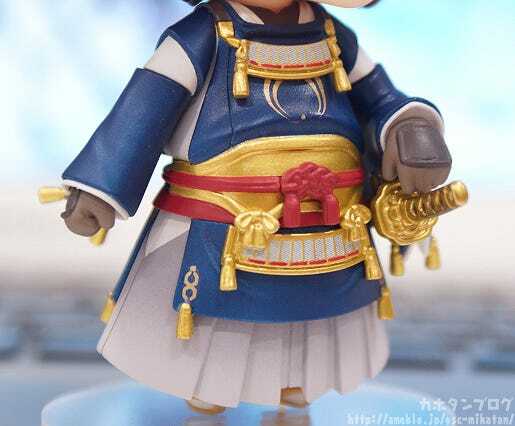 By the way, for those of you who don’t know me, I am the sculptor behind the recently announced Nendoroid Mikazuki Munechika! So let’s get this started! I have two topics to cover! 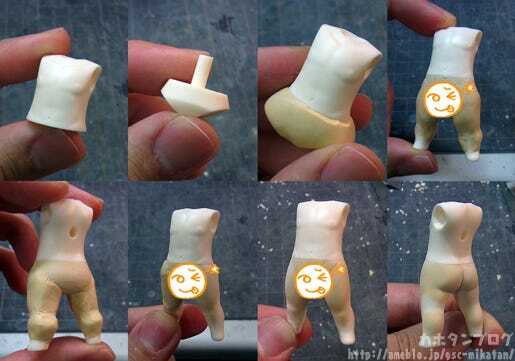 1) How and why were the Nendoshi made?! I was in rather high spirits once I had completed this sculpt… only to be told shortly afterwards that it looked way too muscular for a Nendoroid… so anyway, I got back to work trying to fix it and the result was this second body! The body on the right is the initial muscular body that I made. The left has the chest, arms and legs altered for a slimmer macho body. 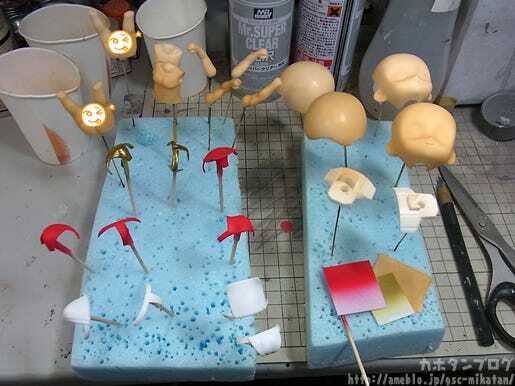 I then quickly made the blank head parts and fundoshi parts themselves, but the schedule was rather tight and I needed to move onto painting as soon as possible! The paintwork on the Nendoshi was done by Noguchi-sensei! First up were the preparations – each of the parts is cleaned and polished and them coated in a primer which acts as a kind of foundation for the paint. All the parts have now been painted! Once the parts were put together they created this! A slight gloss was left on both of them to show off the gleam of their manly skin!! The muscular body also has some shadows put into the paintwork for an EVEN MANLIER APPEARANCE!! And thus the Nendoshi were created! 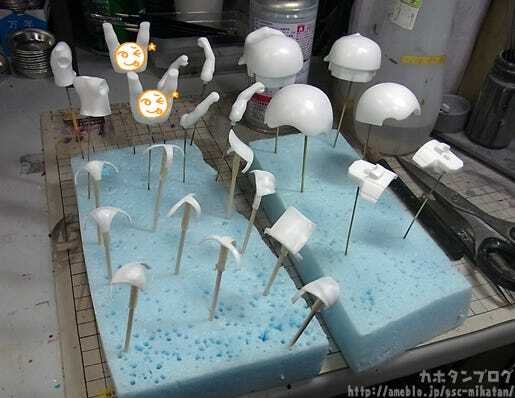 Let me also let everyone know – and as the sculptor I know – that the Nendoshi are completely cast off!! However!! Let me just remind everyone that the Nendoroid Co-de Fundoshi was nothing more than an April Fools joke! Nothing more than GSC finding some ways to have some fun together with the fans! Phew! This is turning out to be a rather long blog! Let’s move onto the next topic! 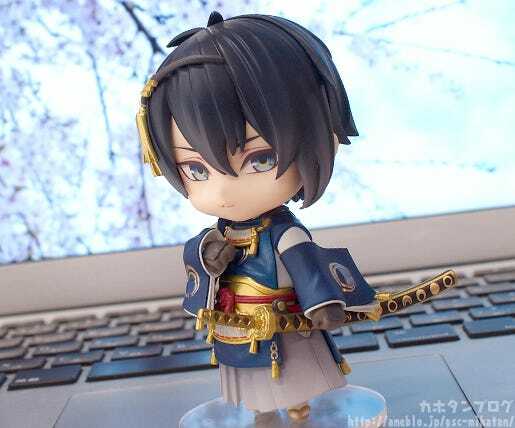 Just a little while back we announced Nendoroid Mikazuki Munechika and he was also already introduced on the blog, but I want to add my two cents as someone from the production side of things!! What a beautiful release photo!! 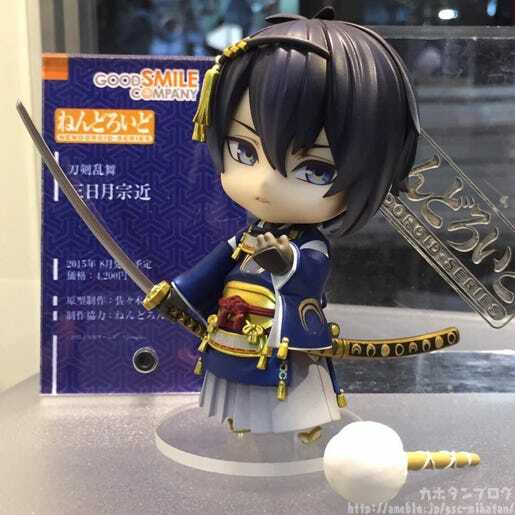 Nendoroid Mikazuki was first revealed at WonFes and went into hyper speed production to get him ready as soon as possible for the fans! 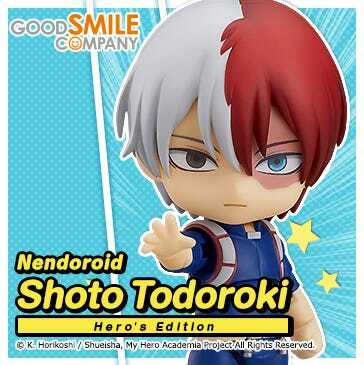 He is one of the first Nendoroids ever that had both the body and head worked on simultaneously! I was the sculptor behind the work on his head parts. But I really didn’t have much trouble at all! 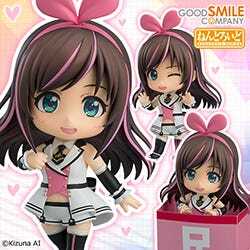 The original illustration was such a lovely piece of work that really appealed to me, and was transferred into a Nendoroid design so smoothly and easily! It was such a pleasure to work on! 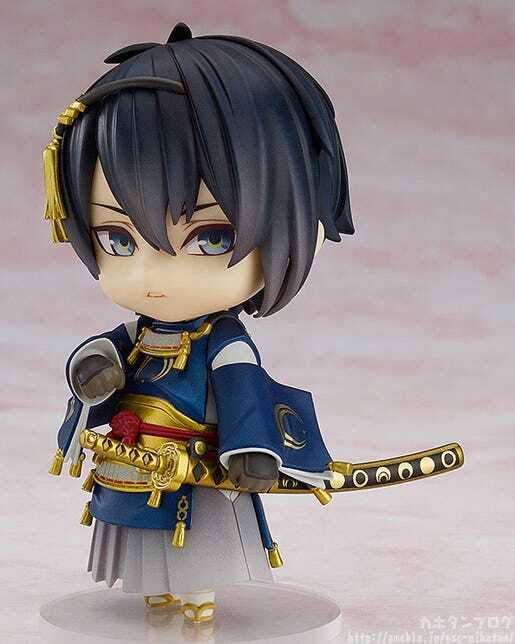 One thing is that normally on Nendoroids a portion of the hair ‘tufts’ are often left out of the design to accommodate the chibi look, but Mikazuki still looked great with a high number of lines so they were left in! 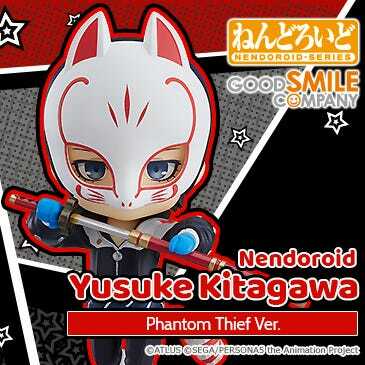 I really think the Nendoroid captures the fact that he is definitely the most beautiful of the ‘Five Great Swords’! The combination of ‘beauty’ and ‘cuteness’ is wonderful!! Figures are made to be seen from absolutely any angle, so we had to make sure that he wouldn’t looks strange from the right! I think that this product photo should prove to everyone that he still looks great even when seen from a different angle! How can he be so good looking…!! Kahotan also captured this pose very nicely! I know, they are virtually exactly the same photo… but it actually ended up as my favorite product photo! The one angle I was worried about ended up as my favorite way to see him! The expression, by the way, was painted by Sekigussan, who also did a fantastic job at capturing the character! Anyway, I have one more thing to point out… his hakama! There is actually a very slight gradient applied to the hakama! Nendoroids don’t actually very often see gradient paintwork on their outfits, but to truly bring out even the little subtleties of Mikazuki’s beauty we really went all out on the paintwork! The paintwork of the Hakama was actually done by the same person who did the paintwork on the muscular body from the Nendoshi, Noguchi-sensei! Such lovely detail!! It is a little bit hard to tell from a photo – you really need to see the figure with your own eyes!! Anyway, thanks for sticking though and reading the whole blog! 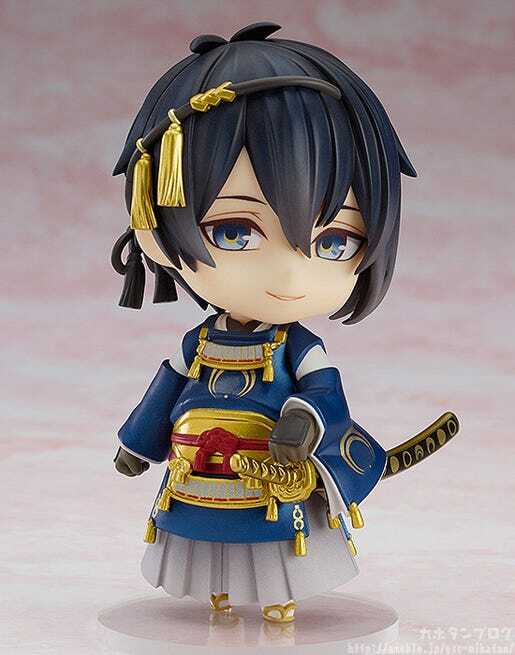 Nendoroid Mikazuki Munechika is still up for preorder! 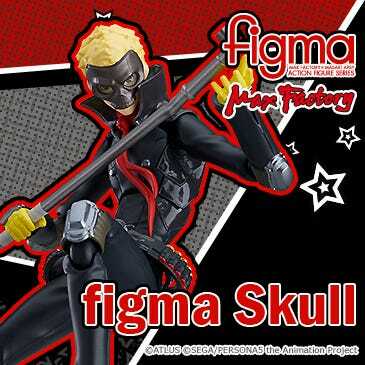 Be sure to add him to your collection!! Perhaps we shall meet again some day!! Farewell! !